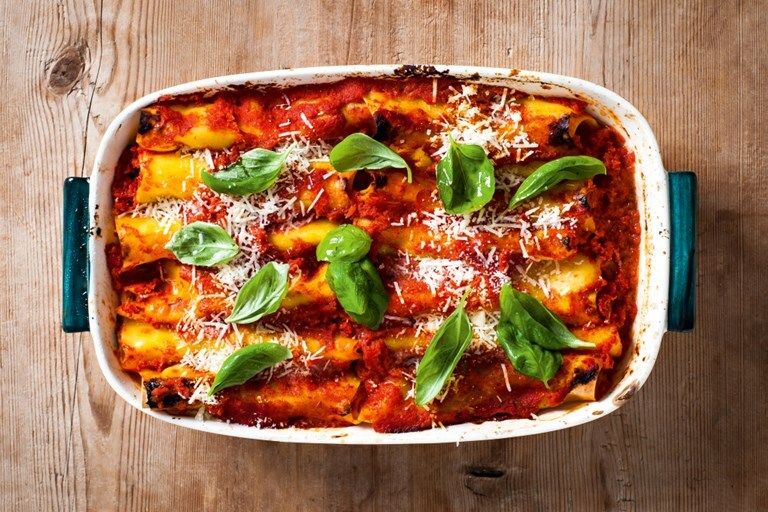 This Sorrento-style cannelloni recipe is Italian comfort food at its best, with roasted peppers and aubergines nestling against gooey fior di latte cheese – a type of mozzarella made with cow's milk. This recipe is taken from the book Naples and the Amalfi Coast by The Silver Spoon, published by Phaidon. Photographs by Simon Bajada. The Silver Spoon was first conceived and published when a select group of cooking experts were commissioned to collect hundreds of traditional Italian recipes and make them available for the first time to a wider modern audience.